Ribble Valley Jazz and Blues Club have organised a gig guaranteed to bring the festive atmosphere for their final gig of the year on December 9th. 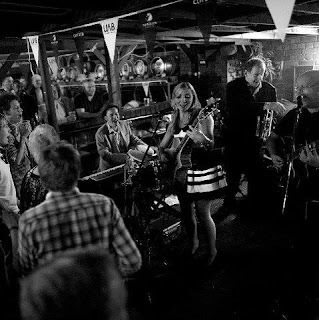 Lancashire based band Tipitina love the music of New Orleans, Barrelhouse, Gospel and Rhythm & Blues. Fronted by vocalist Debbie Jones and including the talents of Justin Randall, John Hicks, Andrew Dalton, Andrew Jones and Pat Flood, Tipitina launched their debut album back in 2009 and have since built up a strong following across the UK. The gig costs £10, £8 for members. There is a food available at the venue from 6pm until 9pm, so audiences can book a table early and make an evening of it. For more information, visit the Ribble Valley Jazz and Blues Club website.